Start these frosty mornings out right with a hot bowl of delicious oatmeal that takes only 5 minutes to prepare. 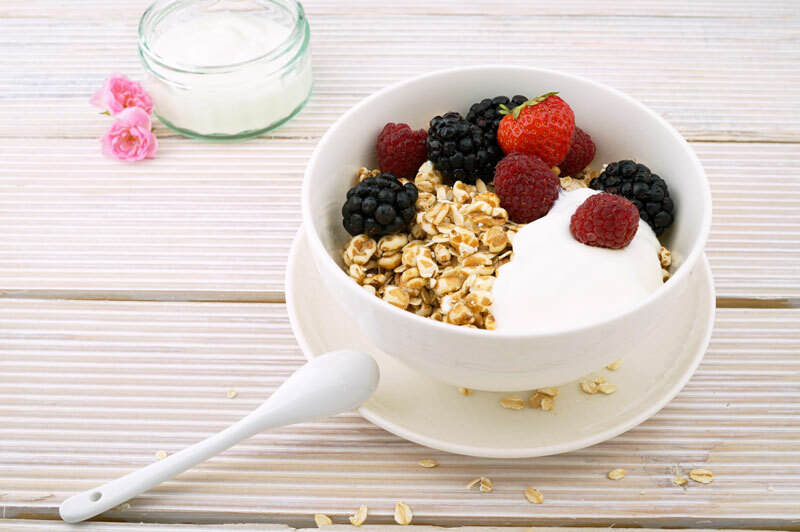 The soluble fibre found in oatmeal helps your body to lower blood sugar levels which is important for diabetics and helps to lower blood cholesterol levels. Enjoy! In a bowl, whisk together yogurt, milk, maple syrup, vanilla and cinnamon. 2. Stir in apple and oats until well combined.